Palau was to have little time for recovery from DESECRATE ONE. Earlier that March, the Joint Chiefs had issued a directive that included the invasion of Palau in September. In June and early July, American forces were busy elsewhere: the U. S. Navy on Operation FORAGER was attacking the Marianas while the U.S. Army made follow-on invasions in the New Guinea area after taking Hollandia. One captured Japanese air base on Wadke Island, near Hollandia, was hurriedly prepared to receive by late August the 13th Army Air Force (AAF), only 618 miles from downtown Koror and well within range of this unit's B-24 heavy bombers. By the end of July of 1944, Nimitz readied his carriers for a return visit to Palau. The primary objective of Operation SNAPSHOT, scheduled for 25-27 July, was to update photographic intelligence in preparation for the September invasion of Palau, designated Operation STALEMATE II. Secondary objectives included attacks on any remaining enemy aircraft, shipping and land-based installations. The operation began on 25 July with attacks on the airfields and, although tough air resistance was expected, none occurred. Once again, numerous Japanese aircraft and ground installations were destroyed and several more ships were sunk. Of historical interest, a TBF Avenger piloted by a young ensign named George Bush sank one Japanese vessel, a 150-foot armed trawler, on 25 July. Ten U. S. aircraft were lost in combat, eight to intense land-based antiaircraft fire. George Bush's friend and wingman, Lt. Houle, was lost over Malakal Harbor on 26 July. Other aviators saw one parachute from this three-man plane land in the water but the identity and fate of this immediate survivor remains unknown. On the other side of the international dateline, on the last day of Operation SNAPSHOT, President and Commander-in-Chief Franklin D. Roosevelt met with MacArthur and Nimitz (interestingly without the Joint Chiefs of Staff) at the Officer's Club at Pearl Harbor to settle the Army/Navy strategic controversy for the remainder of the Pacific war. In the end, MacArthur carried the day: the Philippines, and not Formosa, would be the main focal point and launch base for the final operations against Japan. Palau, the most powerful island stronghold remaining in that part of the Pacific, once again became the single remaining source of flanking interference for MacArthur's planned invasion. In the wake of the carriers leaving Palau, MacArthur's 13th AAF began the next stage of activity against Japanese Imperial forces in Palau. The 868th Bombardment Squadron flew its special radar-equipped SB-24 Snoopers nightly from 8 to 27 August on 1900 mile round trips from Los Negros Island to bomb Palau. By 23 August, Wadke Island was operational and the 5th and 307th Bombardment Groups started day light B-24 missions over Palau. Between 25 August and 4 September, nine missions dropped over 600 tons of bombs. Major damage occurred throughout Palau, but at a cost: seven B-24's did not return. 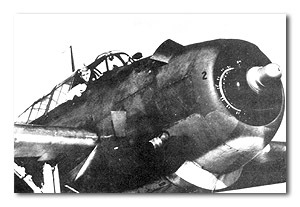 An enemy fighter shot down one and AA shot down at least three others over Babeldaob and adjacent Koror; these four were reported to have crashed within sight of the islands. Parachutes from two B-24's were seen by wingmen and at least two crewmembers were later recorded as captured. The remaining B-24's fell into deep water outside the Palau Islands. No U. S. Army Air Corps crewmember shot down over Palau survived the war.